Observation, the next game from the developers of Stories Untold, will be an Epic Games store exclusive when it releases on PC later this year. In a press release issued earlier today, developer No Code confirmed the release, after fans noticed the game’s Steam store page had been delisted. That Steam page was removed a few weeks ago, and despite the appearance of a page relating to the game’s Epic Games store release, there was no official word on its exclusivity until earlier today, when players discovered an unlisted trailer. That video, which you can check out below, features no mention of Steam, but does end on the logo for Epic’s more recent storefront. 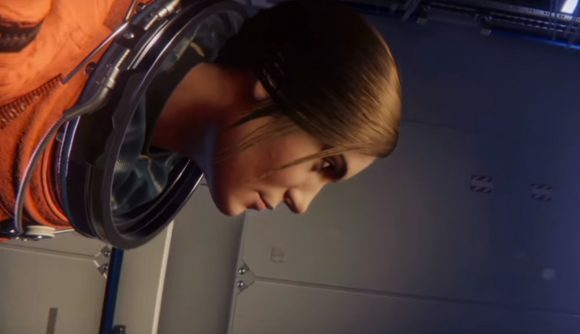 Much like Stories Untold, which released to significant acclaim in early 2017, Observation is a sci-fi thriller. This time, however, rather than embracing a low-tech approach, No Code is heading to the stars, with a new adventure seen through the eyes of a space station AI. Think a version 2001: A Space Odyssey, but where you’re HAL, rather than Bowman. If you were a fan of Stories Untold, you’ll likely find plenty to enjoy, as Observation will task you with controlling the space station’s various systems – cameras, tools, and by the looks of things airlocks – to help unlock the game’s secrets. If that trailer is anything to go by, you’ll also have to deal with the overall creepiness that No Code brought so effectively to Stories Untold. That was the kind of thing you didn’t want to play alone on a wintry night (as I learned to my detriment), and this feels like a very similar jam. Observation will release on the Epic Games store and PS4 on May 21, 2019. Pre-orders are live now, and they’ll grant you 10% off prior to launch.